If you are a doctor or physician looking for professional liability insurance coverage, look no further. Presidio Insurance is your resource for obtaining the coverage your practice needs. Our consultative approach to malpractice insurance is unique, we will offer you coverage options with the most competitively priced carriers for your specialty and territory. 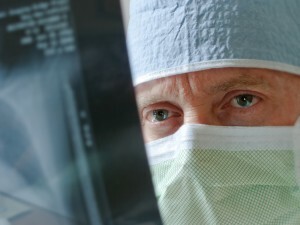 Malpractice Insurance coverage is a vital part of all healthcare practices. Unlike other types of insurance, Medical Malpractice Insurance policies vary greatly in the coverage they afford, and more importantly, the coverage they exclude. We know inadequate coverage can mean professional and financial ruin. And no, working with an independent broker does not cost you more than going direct to a carrier, in fact going direct may cost you far more in the long run. Presidio goes beyond just premium, we consider such issues as risk management needs, premium financing, deductible or retention options, practice structure, availability of defense counsel, retirement goals, and long term stability versus short-term premium savings. As your advocate, we place your needs before our own and offer sound, ethical advice gained from years of experience. Please fill out the contact form or call our office today to get started. From difficult practice situations, to problematic claim history, we work with you to find a solution that meets your needs. As an independent broker, we work with a variety of insurance carriers. You will have acees to best coverage options available in the professional medical liability insurance market.